While the MBA application essays and interviews may get the bulk of your attention, schools are increasingly adding crucial extra components to their application requirements. 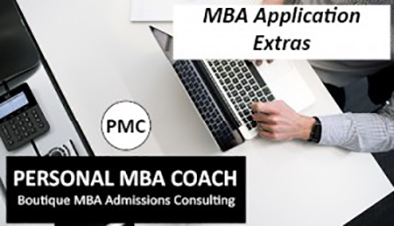 Below are some important application “extras” to prepare for and Personal MBA Coach’s advice on how to tackle each. Most schools offer candidates the chance to complete an optional essay. However, DO NOT feel compelled to answer these questions. In most instances, I only advise candidates with extenuating circumstance to provide additional information here. (There are a few schools where I do advise all candidates to answer the optional question, but this is the exception and not the rule). Such extenuating circumstances include low GPAs, gaps in employment and an unusual choice of recommenders (i.e. not asking a direct supervisor). Keep in mind with these essays: be brief and to the point. Do not offer long-winded excuses or any more information than is needed. Most schools have different requirements for reapplicants (and different definitions of a reapplicant in terms of years since the last application). For the majority of schools, reapplicants are required to answer an additional essay. For other, such as Columbia, only the reapplicant essay is required. Be sure to look carefully at the requirements for each school. While I have written more extensive advice for reapplicants here, it is crucial that as a reapplicant you articulate how you are both a stronger candidate and more interested in the school. This should include specific ways you have enhanced your profile (i.e. higher GMAT/GRE, supplemental education), professional advancements (even if you did not get a promotion, there is plenty to talk about) and any changes to or clarity in your goals. Equally as important is showing how you have taken the time to learn more about the school, reconfirming or enhancing your interest in the program. Videos are increasingly being used by business schools as an additional way to assess applicants. After all, you will have limited career success if you are unable to nail an interview. For some schools, such as MIT, this video question is provided in advance and applicants submit a pre-recorded video with their applications. For other schools, including Kellogg, Yale SOM, and INSEAD, applicants are asked to record videos on the spot after submitting their applications. For these statements, be yourself. These videos offer admissions committee members the chance to learn more about you on a personal level. Potential topics include passions, values, hobbies, etc. While you do not want to sound overly rehearsed, it is important to practice for these videos. If you have the question, write out a rough script in advance of filming. If you do not, practice sample questions. As you practice, consider factors such as audio quality, demeanor, and fluency in addition to the content itself. Personal MBA Coach has proprietary software available to help candidates prepare for these videos and includes analysis of sample videos in its comprehensive packages. Pre and post-interview essays are another tool that schools are using more and more often. Harvard Business School requires a post-interview assessment. MIT and Booth have added additional pre-interview essays for candidates invited to interview. All of these essays have very short deadlines. Our advice here is to again be yourself. Look to add complementary information and avoid repeating any content from your original application essays. Our comprehensive packages also include analysis of these pre/post-interview essays. Personal MBA Coach has been guiding candidates through all aspects of the MBA application process for over 10 years with a 96% success rate. 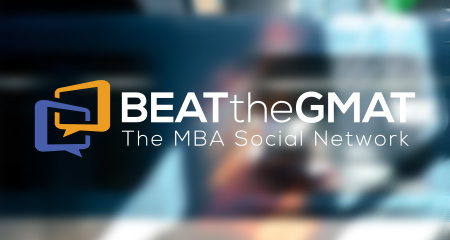 Call us today at +1 617-645-2424 or email scott@personalmbacoach.com for a free consultation on your profile along with how we can help make your MBA dreams a reality!